Home to the ultimate Gondola & Luge experience! Looking for things to do in New Zealand? Located in Queenstown and Rotorua, Skyline New Zealand has something for everyone! As well as the tranquil uphill Gondola ride and the thrilling downhill Luge tracks, Skyline offers plenty of other attractions like walking tracks, mountain biking trails, cultural experiences, adventure activities and great dining options, all with unsurpassed scenic views. Skyline is also an ideal place to host your conference, wedding or private function. Select your destination below and start planning your visit now! Wondering what to do in Queenstown? 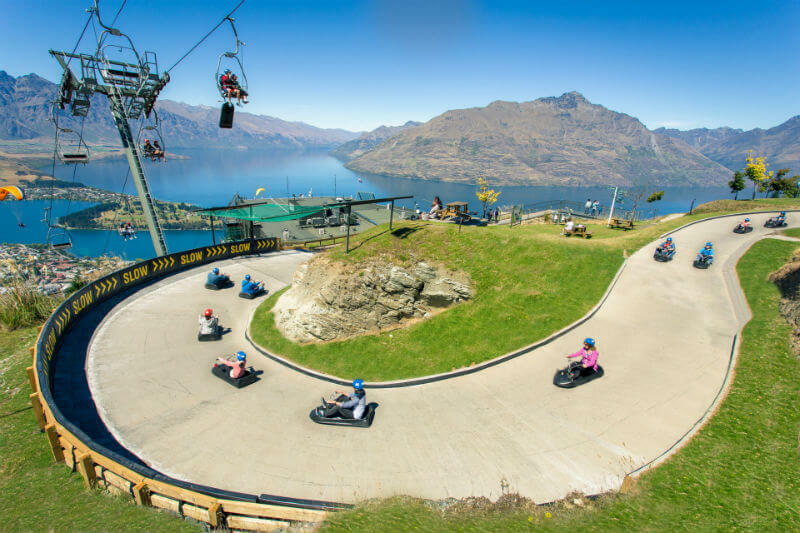 Look no further - The Skyline Queenstown complex offers a whole day’s worth of fun! Rotorua starts here! Don’t look any further if you’re wondering what to do in Rotorua. The Skyline Rotorua complex offers a whole day’s worth of fun! Skyline Queenstown is investing $100 million to build a brand new 10-seater gondola and iconic new base terminal building, as well as undergo a major expansion of its upper complex.